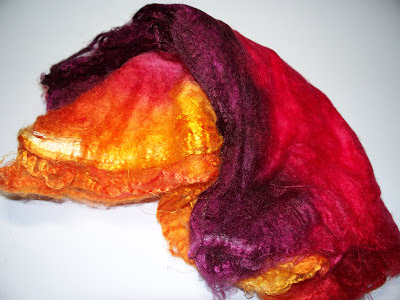 Have been playing with different felting techniques. 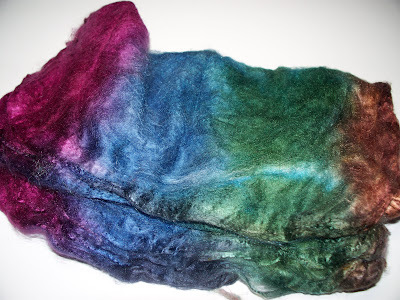 This piece was first needle felted on my needle felting machine then wet felted. On the raw yardage you can see the background fabric that was used. But there isn’t anything on the finished product to indicate this was needle felted at all. 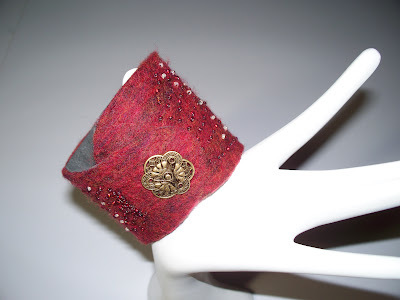 I think the cuff turned out well and with the ultrasuede lining it’s very comfortable. I’ll be putting this in the Handweaver’s Artisan Sale this fall. Here are pictures of a couple of the silk hankies I received from my new supplier. Are they not absolutely gorgeous? Can hardly wait to get them out to everyone. They have gotten me inspired to make some silk paper and, maybe, some silk vessels. Will let you know how that experiment turns out. 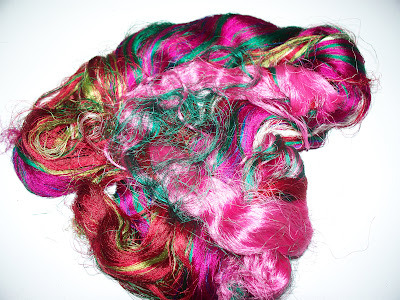 Received some fabulous fibers from my new supplier. I’m always nervous when I place the first order. I was not at all disappointed. 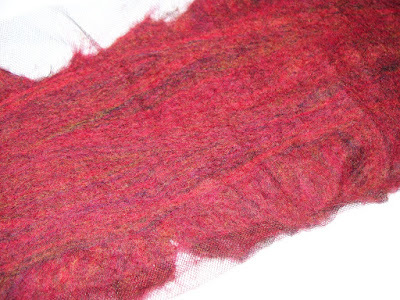 Above is a picture of the Banana Silk fibers. Great colors. 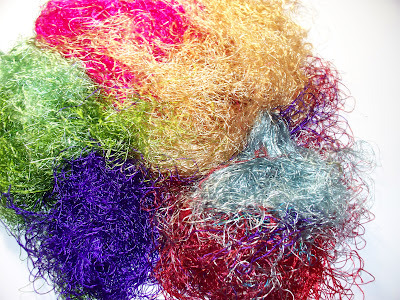 Below is a picture of some of the Silk fibers. Yum! Soon I’ll be posting pictures of the Silk Hankies. They are even more wonderful.